Mustafa’s career has spanned roles from engineer to software developer to marketer and now process improvement expert. Because of his two decades of experience, across different industries and roles, he has cultivated the ability to design and implement enterprise level solutions across multi-site facilities. Mustafa has a deep understanding of Hospital operations and the corresponding relationships between ambulatory providers and post-acute facilities. He has led executive level strategy sessions to determine the best approach to population health, worked on teams that evaluated bundled payment models and facilitated projects around reducing readmissions. Whether it’s coaching the C-suite or working with physicians Mustafa can seamlessly transition from the boardroom to the frontline. His ability to take complex problems and break them down in a way that everyone can relate to, along with his “roll up the sleeves” attitude, make him a unique leader. In addition, Mustafa is an accomplished speaker. He has conducted several regional workshops and presented at national conferences such as Association for Professionals in Infection Control and Epidemiology (APIC) Annual Conference and most recently at the Business Transformation and Operational Excellence World Summit. 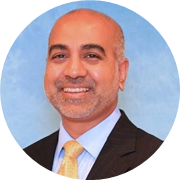 Currently, Mustafa is leading the Lean Transformation of NCH, located in Naples, FL, where he is focused on engineering a culture of structured problem solving in order to improve patient care across the continuum of care. Mustafa has a Bachelors degree in Mechanical Engineering from the Georgia Institute of Technology, an MBA from the University of Florida and is an American Society of Quality Certified Lean Six Sigma Black.